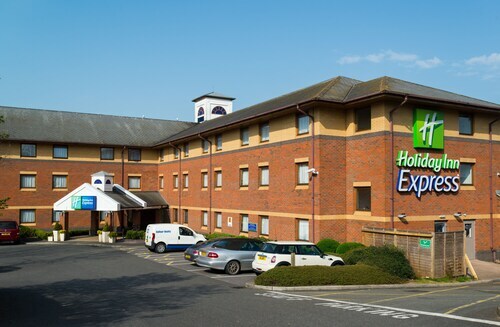 Situated near the airport, this hotel is within 3 miles (5 km) of Pynes Hill Estate, University of Exeter - Saint Luke's Campus and Northbrook Approach Golf Course. Exeter's Underground Passages and Princesshay are also within 3 miles (5 km). Exeter Pinhoe Station is 22 minutes by foot and Digby & Sowton Station is 24 minutes. 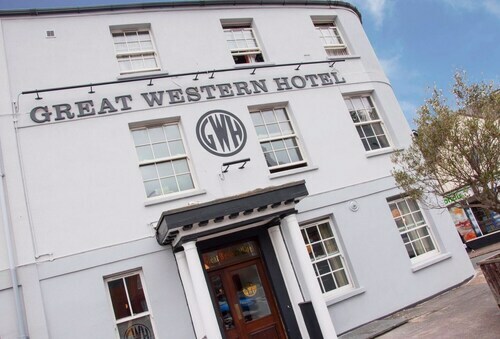 Located in the heart of Exeter, this hotel is within 1 mi (2 km) of Exeter's Historic Quayside and University of Exeter. St Martin's Church and Exeter Cathedral are also within 10 minutes. Exeter Central Station is 10 minutes by foot and Exeter St Thomas Station is 13 minutes. Located in the heart of Exeter, this eco-friendly hotel is within a 15-minute walk of Exeter's Underground Passages and University of Exeter. Princesshay and University of Exeter - Saint Luke's Campus are also within 10 minutes. St James Park Station is 9 minutes by foot and Exeter Central Station is 14 minutes. 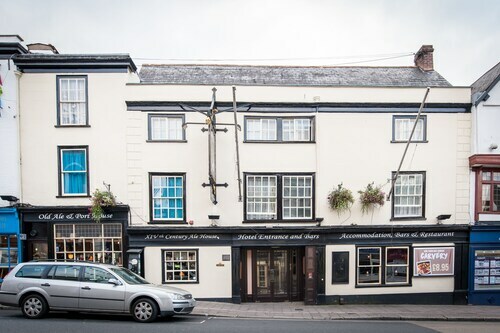 Situated in Exeter, this inn is 1.6 mi (2.5 km) from Dartmoor and within 9 miles (15 km) of Castle Drogo and Exeter's Historic Quayside. 21 The Mint and Spacex are also within 9 miles (15 km). Situated in Exeter, this hotel is within 6 miles (10 km) of Powderham Castle, Dartmoor and Northbrook Approach Golf Course. Pynes Hill Estate and 21 The Mint are also within 6 miles (10 km). 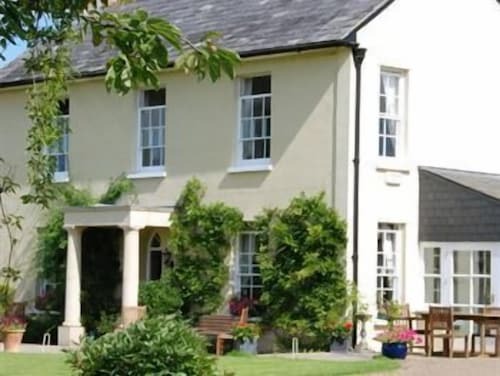 Situated in Exeter, this luxury bed & breakfast is 1.4 mi (2.2 km) from Escot Park and 2.1 mi (3.4 km) from Cadhay. Yaraks Birds Of Prey Falconry Centre and Crealy Great Adventure Park are also within 9 mi (15 km). 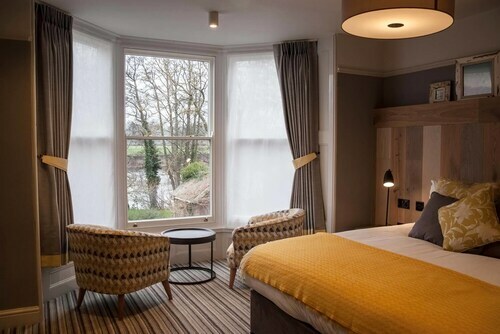 Situated in Exeter, this hotel is within 1 mi (2 km) of St Nicholas Priory and University of Exeter. Exeter's Historic Quayside and Spacex are also within 10 minutes. Exeter St Thomas Station is 7 minutes by foot and Exeter Central Station is 11 minutes. 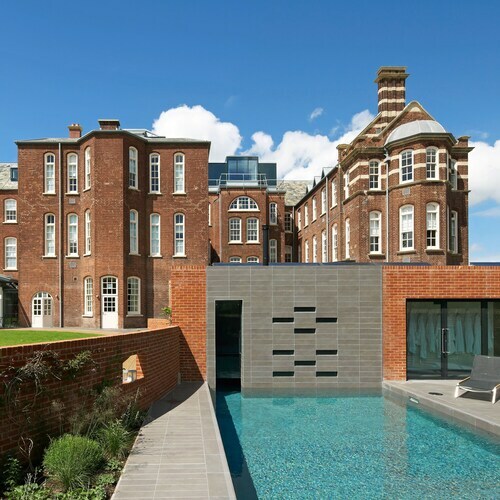 Situated in Exeter, this spa hotel is within 1 mile (2 km) of Exeter's Historic Quayside and University of Exeter. Spacex and St Martin's Church are also within 10 minutes. Exeter Central Station is 12 minutes by foot and Exeter St Thomas Station is 13 minutes. So, you're considering a trip to Exeter? If you want to find accommodation that's within a stone's throw of the sights, you can enter your holiday dates and then use the filters next to your hotel search results to find a hotel near the area's attractions such as Spacex. You can choose among 66 Exeter hotels and accommodation options to find a place you'd like to stay. When you're deciding where you want to stay in Exeter, you'll be able to quickly and easily search ebookers for hotels offering services such as high-speed Internet, free airport transport or a swimming pool. You can use the filters to narrow down your search for accommodation, so you can get the services that are important to you, such as air conditioning or an in-room kitchen. When making plans for your holiday in Exeter, you can also use ebookers to find a convenient flight into Exeter (EXT-Exeter Intl.) Airport. You can narrow down your search by number of stops, airline or time of departure to find the one that'll meet your needs. When is the Best Time to Explore Exeter? If you're wondering when is the best time of year to travel to Exeter, you may find this information about seasonal weather helpful when you are organising your getaway. The warmest months in Exeter are typically August and July, whereas the coldest months are usually February and March. The months with the most rain are October and February, whereas July and June have the least. If you visit between April and June, you can expect an average temp of 19°C during the day and 5°C at night. Average rainfall during this season is 4 mm. The daytime average temp from July to September is 19°C and the nighttime average is 11°C. Average precipitation for this season is 5 mm. Between October and December, the average temp during the day is 16°C and 5°C at night. Seasonal average rain is 9 mm. The annual rainfall average in Exeter is 26 mm. Super gelegen, sehr ruhiges und gepflegtes Guesthouse. Excellent suite which we weren’t expecting as we have stayed before. Arrived late in the evening after a long trip down to a warm welcome. Owners organised a table for us at a lovely local restaurant...that's a nice personal touch. Superb breakfast too....Kippers a bonus for me. Recommended. Great staff, great location, great breakfast. I was put in a room directly above the bar which also coincided with the first night of the Christmas Party nights. The music was so loud, we couldn't hear the TV over it. I took it all in the Christmas spirit, but would ask in future if there were any 'events' being held if I was staying there again and ask for a room away from there. The music stopped at midnight so its not too long to wait to go to bed. The Staff are all excellent - hats off to whoever trained them - as nothing was too much trouble for them. The breakfast is buffet style and the scrambled eggs were delicious. There are no pots of tea but a hot water/coffee machine which was a bit of a faff, but all worked ok in the end. Some of the things that would make it just slightly better would be, robes (even to hire) conditioner to go with the shampoo, and check things like the light over the mirror in the bathroom not working. This is me being really picky, and all in all this is a great place to stay and I will definitely go back there again as its handy. Taxis are a problem at busy times (weekends and rainy weather) so you can be told you will have to wait up to 2 hours for one! I would advise you to plan and if you think you will need one, book in advance We regularly stay in hotels for many different reasons, ranging from holidays, work, weekends away, relative visits and weddings/birthdays and can definitely say that this ranks one of the best ever. 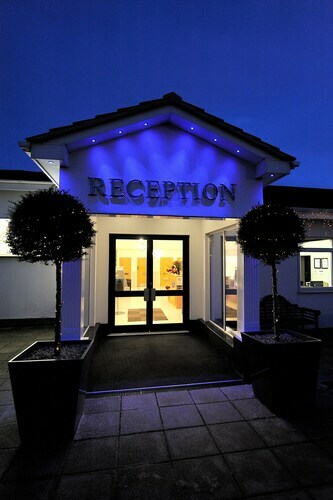 BRILLIANT reception staff on arrival and check out, very friendly and welcoming, room in good condition and comfortable, only very minor issue was car park charges not fully explained. Very well situated for the city centre. The room was comfortable and clean. We wouldn't recommend eating at the pub but there are other places to eat nearby.